BRUSSELS (Reuters) - European Union leaders warned Britain on Friday it had a final opportunity to leave the bloc in an orderly fashion after giving Prime Minister Theresa May two weeks' reprieve until April 12 before Britain could tumble out without a deal. May will not attend the second day of the summit but will return to London to seek support for the withdrawal agreement. French President Emmanuel Macron argued at the summit that if the leaders left their decision until late next week, they would be seen as either pushing Britain out on Friday or blinking at their own deadline. Instead, they have pushed the trigger back to Britain, which will be confronted by a choice by April 12 on whether to hold an EU election as part of a long-term rethink or prepare to quit by May 22, or possibly in June, without a deal. The details of exactly how and when Britain would leave on or after April 12 are still somewhat vague. 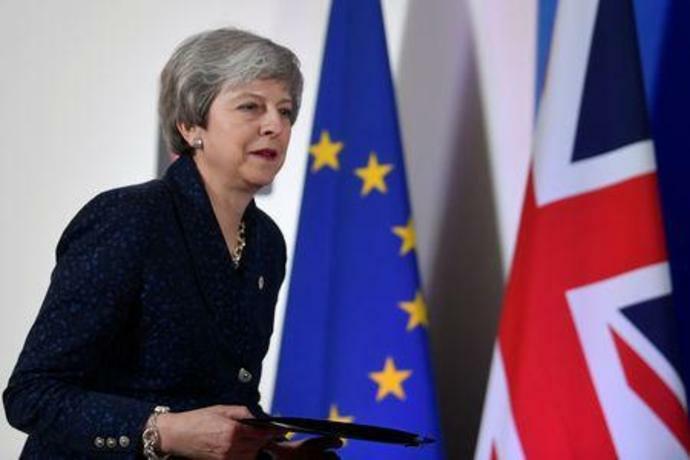 It would also try to insist on Britain being out by May 22 to avoid any problems over the EU election on May 23-26, but some leaders indicated that they could cope with Britain leaving any time until June 30 - before the new European Parliament convenes on July 2.